Every Muslims wish to perform Umrah. It’s not easy to find a suitable umrah package in budget. Many people’s from Faisalabad want to perform umrah but couldn’t find any reliable umrah travel agency in Faisalabad. 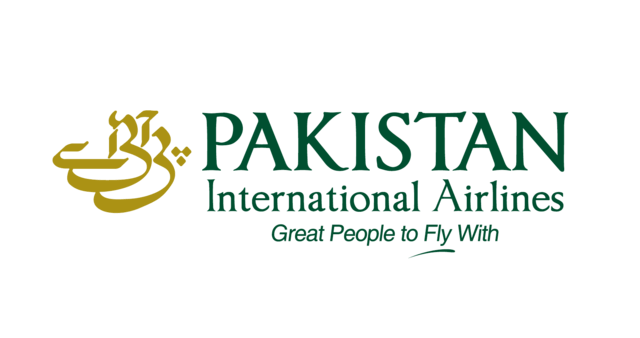 No need to worry or travel to Lahore for getting in touch with the travel agency for umrah. If you are looking for information about umrah packages from Faisalabad or looking for approved umrah travel agents in Faisalabad you are in right place. Here at visas.com.pk we can provide you all required information about umrah packages from Faisalabad. We are one of the most trusted Umrah Travel agency in Faisalabad. Choose right umrah travel agents in Faisalabad to get budget umrah packages from Faisalabad. We are one of the most trusted Umrah Travel agency in Faisalabad and provide all necessary information about umrah packages, air tickets, hotels, transportation and other necessary information about umrah. Get cheap umrah packages from Faisalabad with direct flights, hotel accommodation in Makkah and Madina, Transport, Food and Ziarat in Makkah and Madina. We have different umrah packages with conform flight tickets. ? Below are some estimations for cheap umrah packages from Faisalabad, if you want to get accurate prices for cheap Umrah Packages from Faisalabad you can contact us. Executive Umrah Package provides you with top notch facilities and amazing traveling experience. Our executive Umrah packages will take you to five star hotels in Makkah and Madinah, amazing cuisines, pick and drop services in air conditioned cars, airline tickets, visa service and so much more. It is one window operation. You also get to be more content experience Umrah in a truly enigmatic way. For executive umrah packages from Faisalabad you can contact us. Hotel accommodation and other facilities can be according to your selected package. Normally facilities included in packages are Air conditioned Rooms, Family Rooms, Accommodation Close to Haram in Makkah & Madinah - Breakfast Inclusive, Lunch & Dinner on Demand, Separate Rooms for Families, Free WiFi, Room Service, Facilities for Disabled Guests. If you need any more details you can contact us. If you are paining for umrah, you should visit the following places in Madinah. Famous ziarats in Madinah are Masjid E Cuba - Masjid E Nabawi Sharif - Roza Mubarak - Riyaad-ul-Jannah - Ustuwaanah Aishah (may Allah be pleased with her) - Masjid Abu Bakar - Masjid E Juma - Masjid Bilal - Bir Usman - Masjid E Khandaq - Masjid Miqat Bir Ali - Jannat Ul Baqi - Masjid E Qiblatain - Wadi E Al-Baida (Wadi Jinn). Being Muslim everyone wishes to perform Umrah, but nowadays no one is free or has much time to do the whole Umrah process in a limited or short time. Umrah process starts from the visa application form, booking air tickets; booking hotels and managing the whole stay there in Makkah and Madina. Sasta Umrah is one of the best professional Umrah package providers who will do your whole Umrah package processed in a short time. You just have to give documents required for visa processing and intimate the dates of your departure and arrival. Our Umrah agents will give you whole sasta package including visa processing, booking Umrah tickets, booking hotels in Makkah and Madina. You can book your umrah package from any city of Pakistan including Faisalabad, Lahore, Multan, Karachi, Peshawar, Sialkot, Islamabad, Rawalpindi and more. At visas.com.pk you will get the best umrah packages according to your needs and budget. Normally Makkah to Madinah and Madinah to MakkahTtransportation is included in packages. Transportation is according to your package.